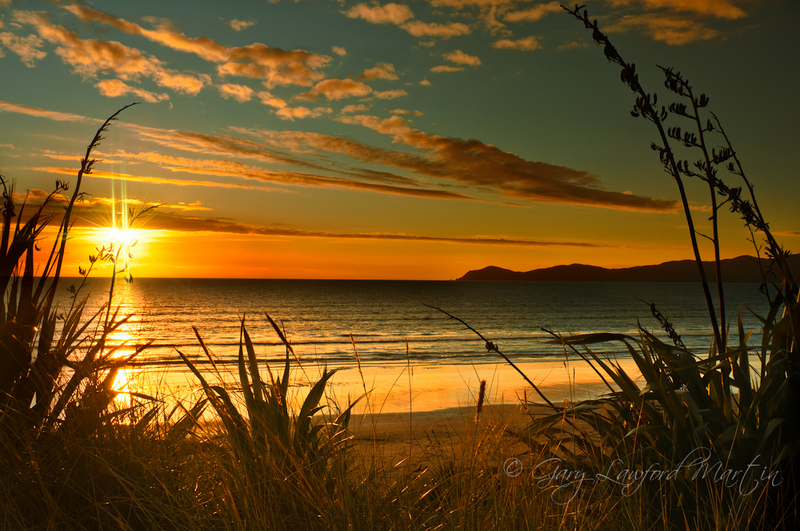 Sunset from the sand dunes of Raumati beach with Kapiti Island in the distance. Positioned to capture the sun burst in the tops of the flax stems. Import sharpened and colour balance in Lightroom 3.6. Layered in CS5 for selective dodging and burning. Colour control points for cloud detail in Capture NX2.